WAC-ING OFF AT HOST - Marco Beverage Systems Ltd. It may seem a trifle early to start talking about HOST, the gigantic annual hospitality exhibition held in Milan. HOST can be a long aul slog (5 full days), but we have lots of plans to break that up with, fun, interesting, new things (more on that later). 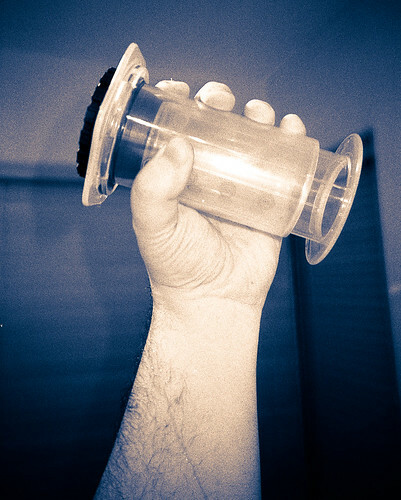 For now though, we are delighted to announce that on Sunday 23rd October we shall be HOSTing the 2011 World Aeropress Championships (last seen in London ’10) on our booth brew bar. The current plan is to kick off around 3pm and let it run until close. Who knows, some beer might appear at some point. Full details, signups, and all that stuff over on the official site (and new rules!!!). Big thanks to Messrs. Varney, Wendelboe and Adler.